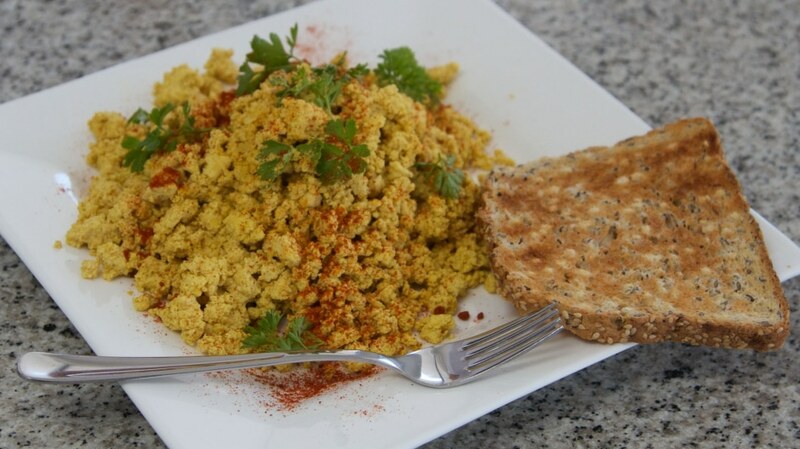 This curried tofu scramble is so tasty… it is a fantastic vegan substitute for traditional scrambled eggs – but healthy for you! Wash off tofu under warm water and pat dry. Crumble tofu into a large frying pan. Add all of the dry ingredients to the pan. Put pan on medium-high heat and stir through until evenly mixed and tofu looks "yellow". Stir through tamari and vegetable stock and heat for another minute. Remove from heat and serve with crusty bread 🙂 Enjoy! I love you, and all your recipes. Do you press the water out of the tofu first? I drain excess water but I don’t press it.